I liked the sea views and what our hotel room looked like also the places around the hotel also I liked the funky touch in the bathroom . The location, on the seafront, was ideal for our short stay: the beach, the amusements, the restaurants were right on the doorstep. 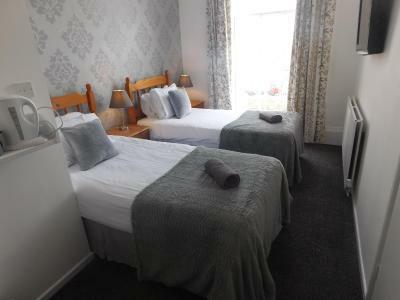 The room was recently refurbished; it was clean and comfortable. The rest of the hotel was in the process of the being refurbished and the place will look great when it is finished. The view was outstanding. The breakfast was faultless. Bed very comfortable and room very clean. Definite bonus having own car park. Could have done with some hooks for the towels in the room! Breakfast was very good and great selection. Large newly decorated room with amazing seaview. Generous buffet breakfast. 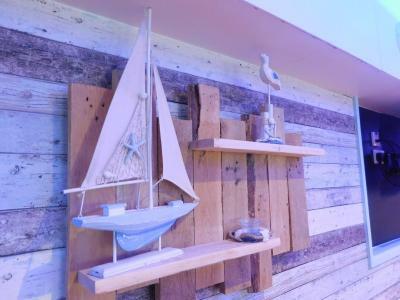 One of our bestsellers in Weymouth! 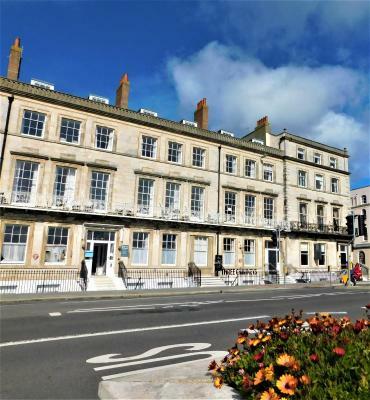 Situated on Weymouth's seafront, on the Jurassic Coastline, the Hotel Mon Ami boasts views across the bay. This Georgian building is spread across 5 floors and features 2 lifts. The property can accommodate pets and free private parking is available on-site. Rooms at Hotel Mon Ami are traditionally furnished, and each benefits from an en suite bathroom. Some have views of the sea, and all have a TV and tea and coffee making facilities. A full cooked breakfast is served in the dining room each morning, and there is a lounge area with sofas and a TV for guests to enjoy. Hotel Mon Ami is a 5-minute walk from the Greenhill gardens. A 15-minute walk away is The Lodmoor nature reserve, where you can go bird watching. Hotel Mon Ami has been welcoming Booking.com guests since 9 Apr 2013. All rooms have a TV and tea and coffee making facilities. 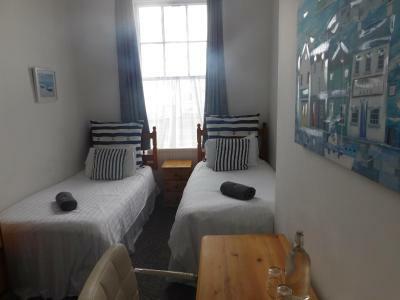 This double room has a sea view and electric kettle. House rules Hotel Mon Ami takes special requests - add in the next step! 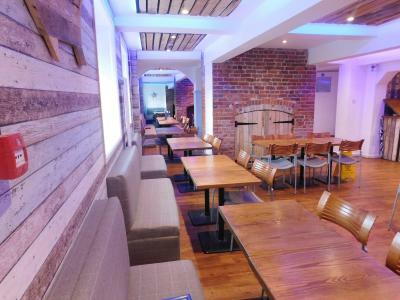 Check-in will take place at the sister hotel next door, The Richmoor Hotel. 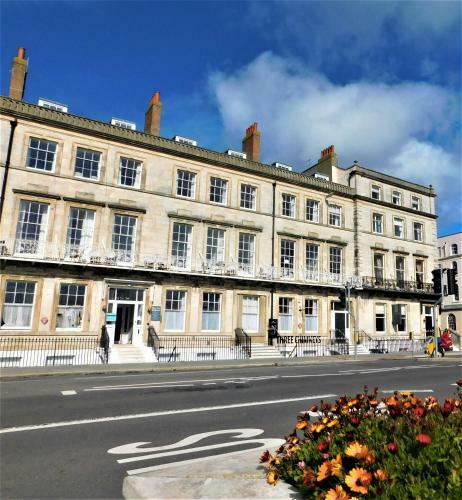 Please note that the check-in and key-collection take place at: The Richmoor Hotel, 146 The Esplanade., DT47NP Weymouth.